Added on March 8, 2016 by Matthew Gantt. So a few weeks ago, I was asked by a fellow tenant, Carol Simon if I would like to open my studio on Saturday, January 30th and talk a bit with some high school students. 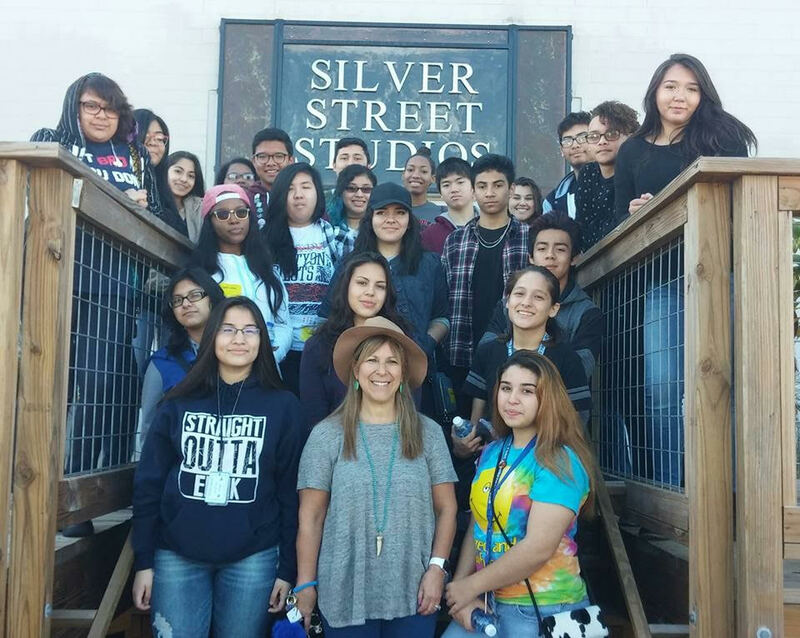 As organized by Carol Simon and teacher Susan Ishmael, the Elsie High School Art Club from Alief, TX was planning a day trip into town to tour Silver Street Studios and Texas Arts Supply. Twenty-five students toured Serrano Gallery, the studios of John Bernhard, Manika Srivastav as well as my own. I had such a great time talking to them about my process and fielding questions about what it was like being a professional artist. I remember being in my high school art club about on e hundred tears ago, and we never did anything this cool. Kudos to the Elsik Art Club and Mrs. Ishmael for imagining such a great day. I am very honored to have been a part of it! Incidentally, I am also scheduled to host a workshop with Houston's High School for the Performing and Visual Arts (HSPVA) this Friday, where I'll be doing my Constellationism Workshop with two groups of students of the Creative Writing Department. I'll post more about that later.